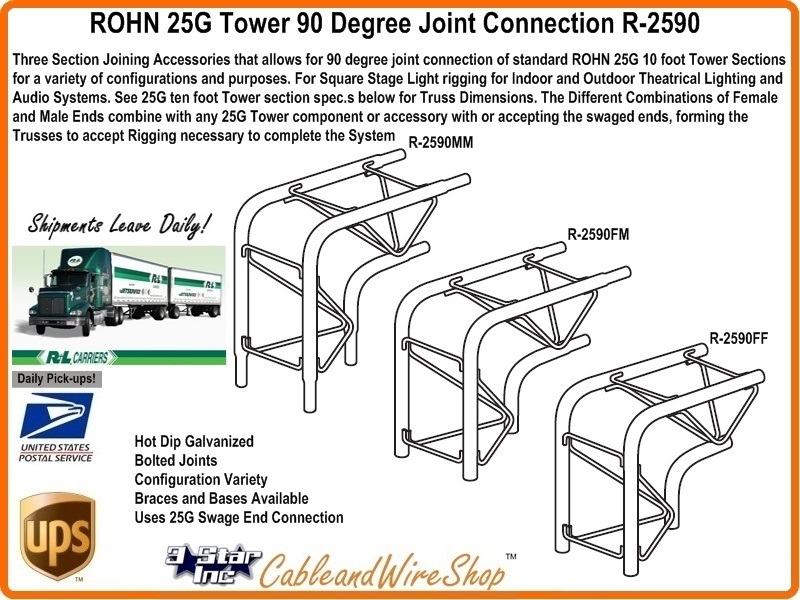 The ROHN 2590 Male to Male is one of three Section Joining Accessories that allows for 90 degree joint connection of standard ROHN 25G 10 foot Tower main Sections for a variety of configurations and purposes. For Square Stage Light rigging for Indoor and Outdoor Theatrical Lighting and Audio Systems. See 25G Ten foot main Tower section spec.s below for Truss Dimensions. The Different Combinations of Female and Male Ends combine with any 25G Tower component or accessory with or accepting the swaged ends, forming the Trusses to accept Rigging necessary to complete the System. Self-supporting and bracketed Guy heights and Specifications depend on loading and are also specified in the ROHN catalog (Click Below). 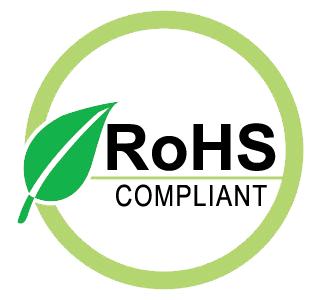 Always Consult a Licensed Engineer for your Particular Application. Where the Joints fit are not drilled as is common with other 25G tower components and accessories, allowing for Custom filing, drilling and connectorization to meet particular needs and stage designs. End Caps from the 25G tower Product line can asthetically top out Speaker and Light Towers, also providing a Means to Guy and secure the Tower's stability. Joint styles include (2590MM) both ends swaged, (2590FF) both ends open, and (2590FM) a combination one end swaged the other open.